I just finished my third post in a series for AARP online about how vintage accessories can be used to spruce up an outfit. 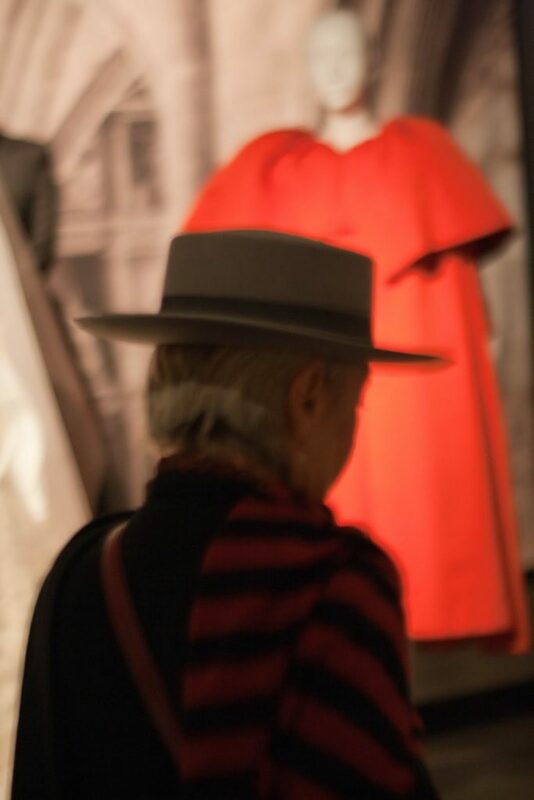 As with the blog, my goal is to inspire people to live life to the fullest, to challenge stereotypes about age, and show that you can have fun and be stylish as you get older. I hope you enjoy the posts and please let me know what you think of them. 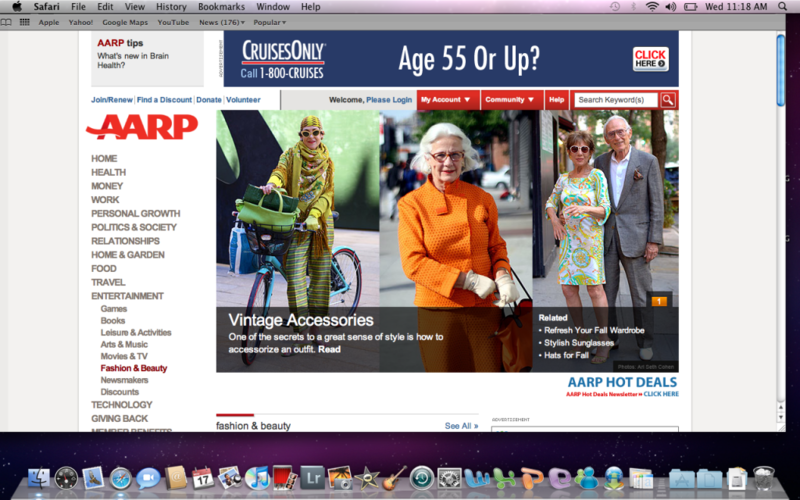 Check out these links to my articles for AARP ! 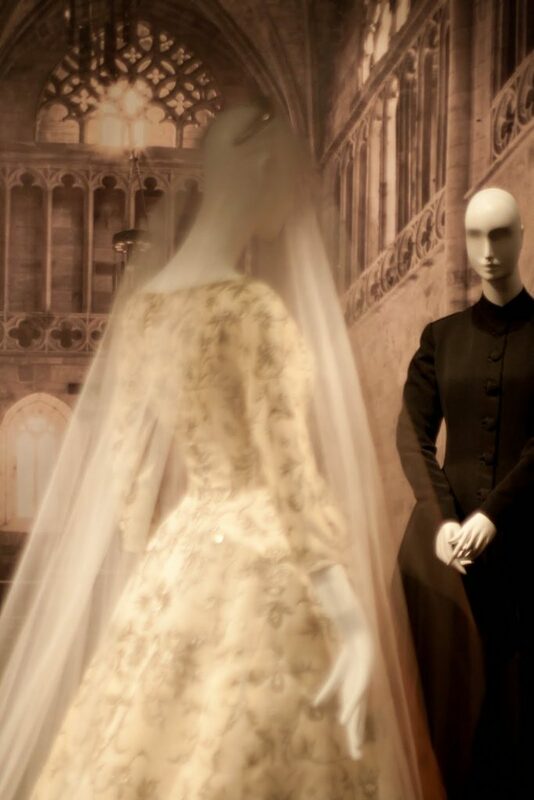 Today Debra and I went to preview the Balenciaga: Spanish Master exhibition held at the Queen Sofia Spanish Institute in New York. 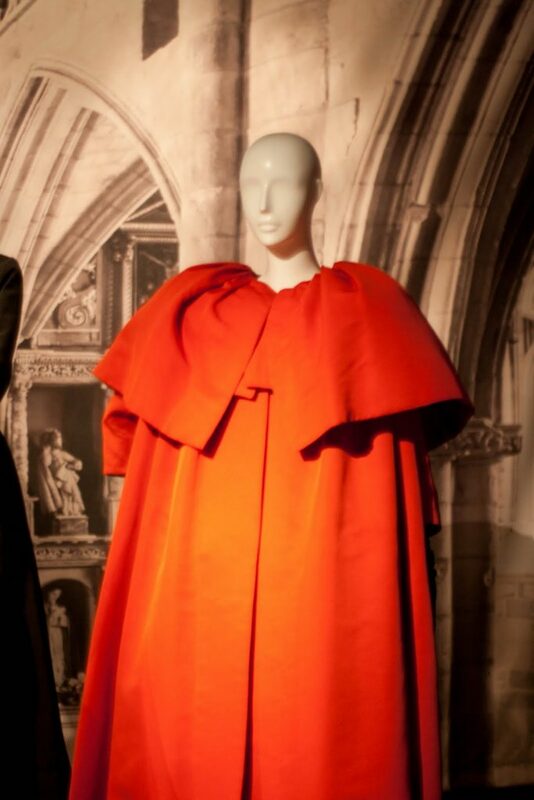 The show which opens tomorrow features more than 70 items of Cristobal Balenciaga curated by Hamish Bowles. 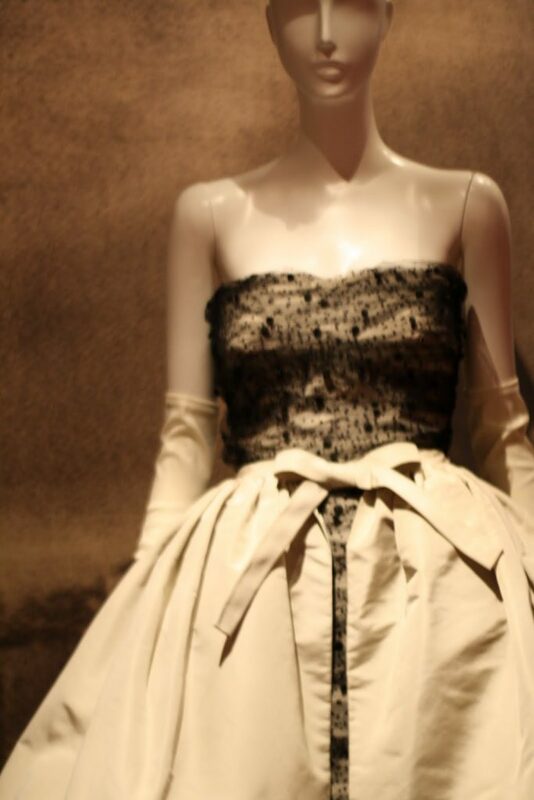 Designer, Oscar de la Renta conceived of the show which is the first to consider the impact of Spain’s culture, history, and art on the legendary Critsobal Balenciaga. I took Debra to the exhibit with me because I knew she’d appreciation the beautiful display and scultural forms. 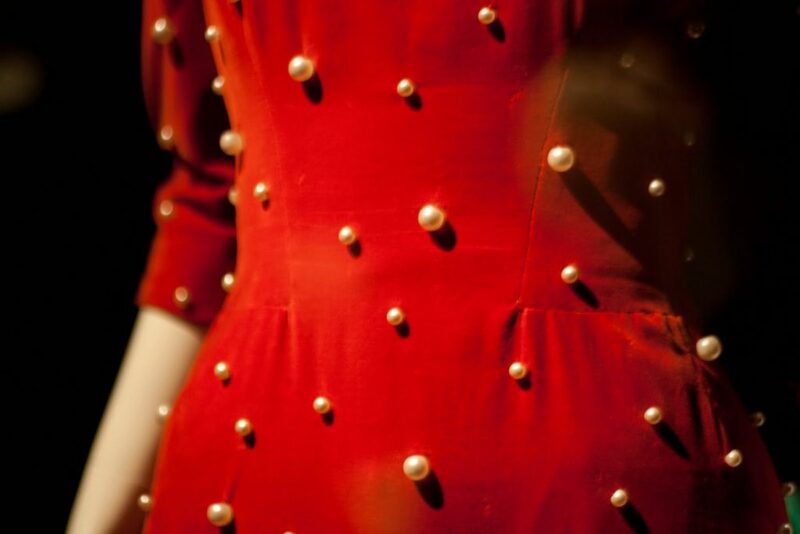 She told me that she first saw Balenciaga’s work as a child on TV. His designs and colors were immediately inspiring to her. 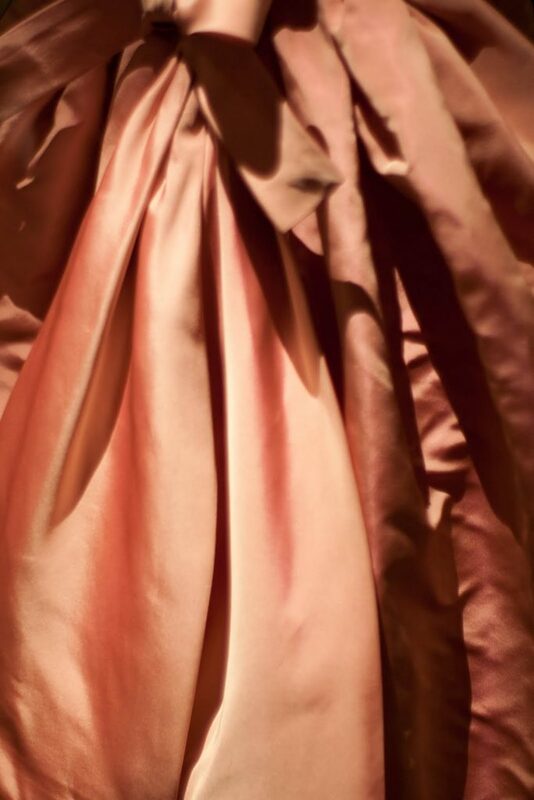 Even if you can’t afford to buy designer clothing you can be inspired by their artistry. 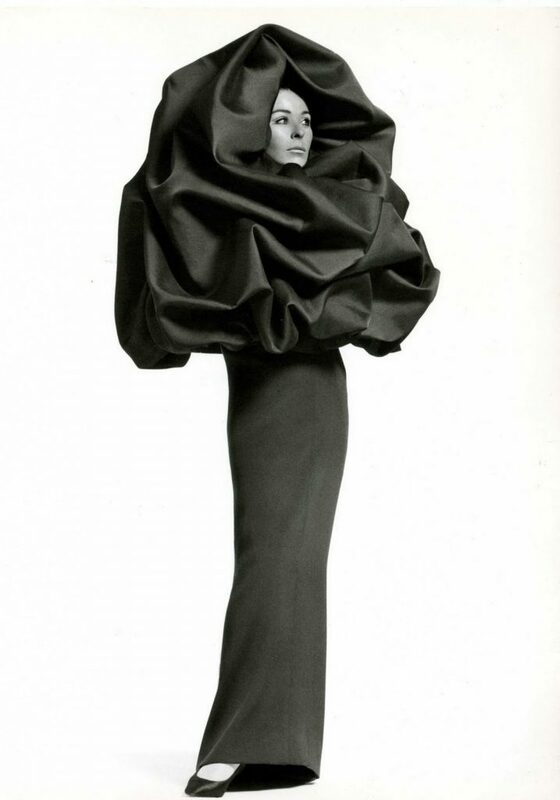 It is the artful quality and expressive power of style that Debra and I relate to. 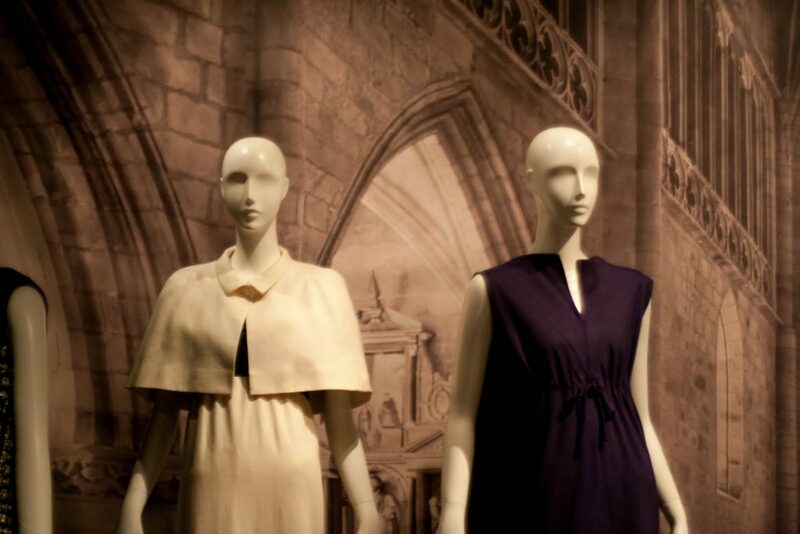 Check out the great clip below to see some Vintage Balenciaga designs similar to those in the exhibition. 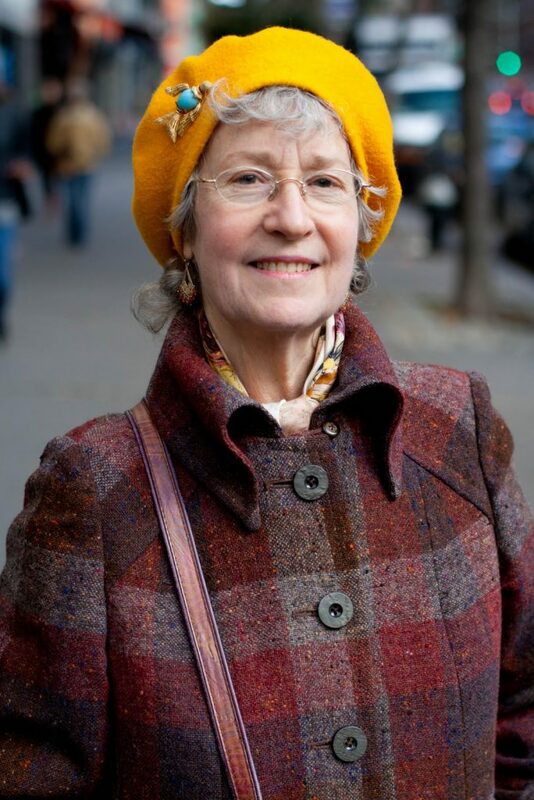 This woman looked chic and artful walking through the west village this weekend. 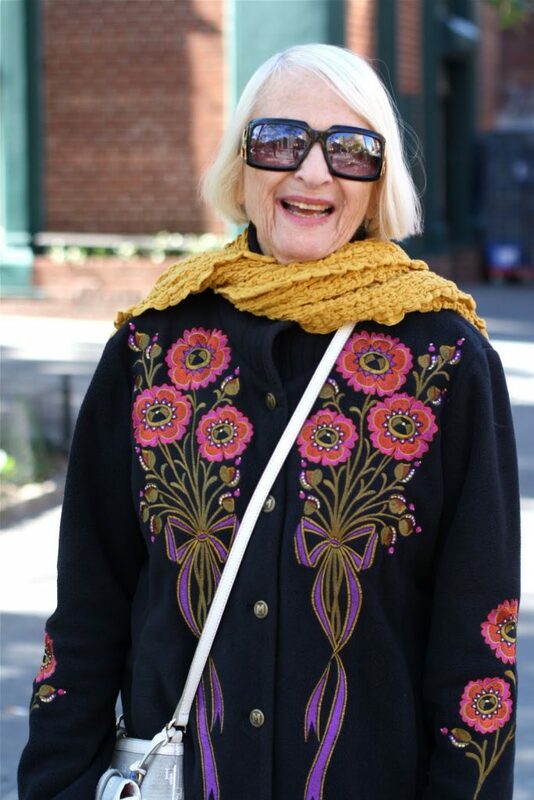 She would have been perfect for my “Nature of Fashion Post” with her beautiful floral sweater and golden scarf. 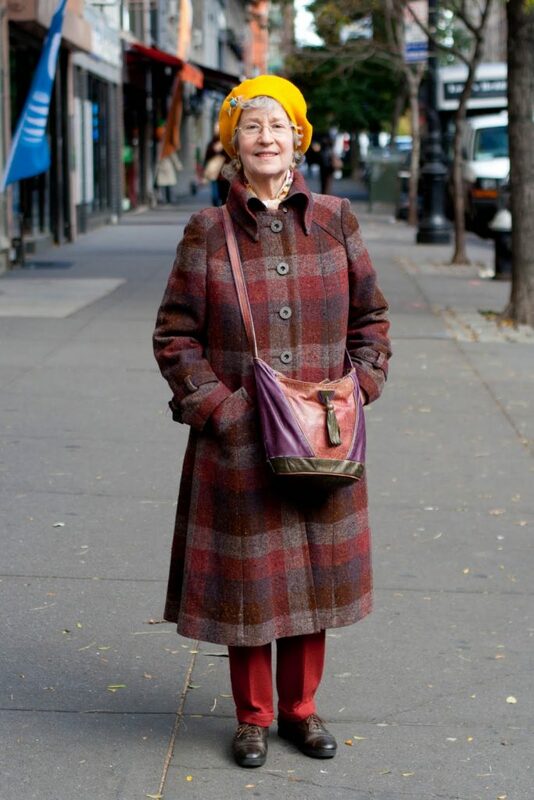 This charming lady is dressed perfectly for a crisp autumn afternoon. 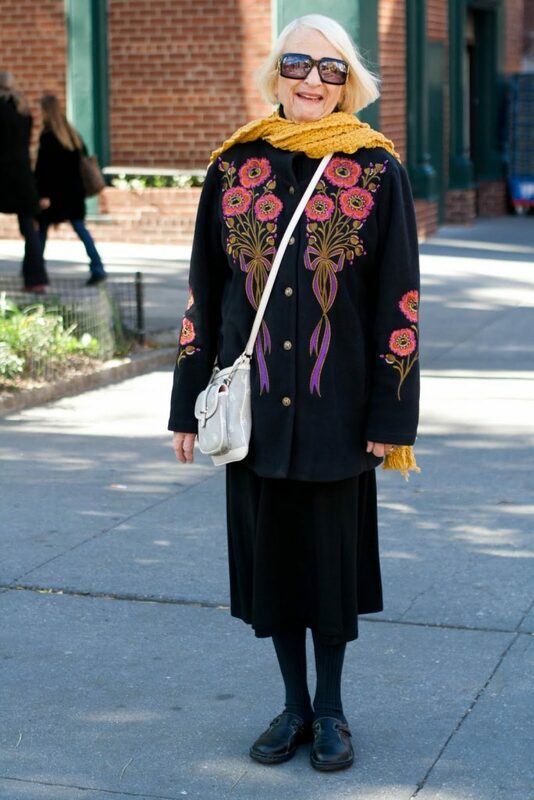 Her pin and coat are both vintage, making this outfit not only stylish but sensible. You don’t have to spend a lot of money to be fashionable, in fact some of the best treasures come from thrift and consignment stores. I’m Alessandra, I’m a 24 Italian girl. day, she is right next to me now, She says “Hello!”. Thanks Allessandra, I do love it, do you guys?